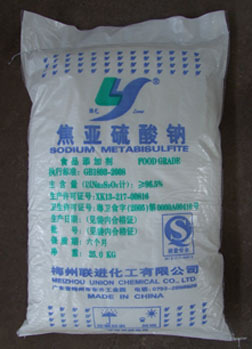 "Lian Yi" branded Sodium Metabisulfite is produced strictly in conformity with the national standard. 1.Prevent from rain, moisture, exposure under the sun and packaging damage. 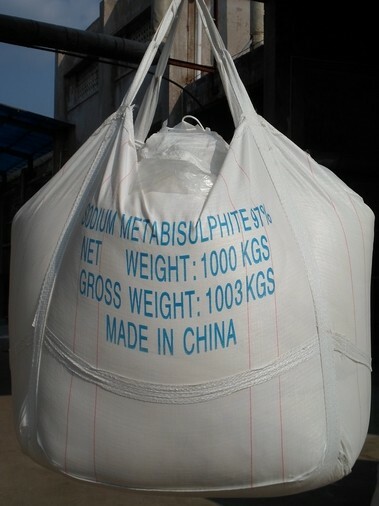 2.Kept in the warehouse which is well-ventilated, dry and without corrosive materials. 3.Keep it away from acids, oxidants, poisonous materials.